It is a colossal Gate built by two slaves in order to pay honors to Augustus and his family because he had set them free. 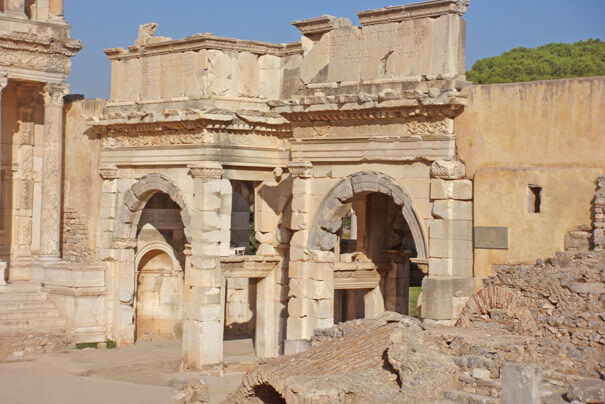 It was used as the south gate of the Commercial Agora. It was 16 m tall and it had four niches. Inscriptions had been engraved on the top of its façade.